CEARA is a natural show style wax&comma; offering unbelievable gloss levels whilst still achieving unseen durability from a show wax. There is nothing like the feeling you get during the application of a paste wax, knowing that your efforts are adding protection and a deep gloss to your paintwork with every effort is a special feeling to any detailer or enthusiast alike. 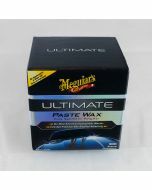 Autoglanz CEARA Carnauba Car Wax is no exception to this with its deep warm gloss and unbelievably easy application you will soon find yourself re applying sooner rather than later. CEARA is a natural show style wax, offering unbelievable gloss levels whilst still achieving unseen durability from a show wax. Containing 28% Carnauba wax by volume and a blend of exotic waxes and oils CEARA is both extremely easy to apply and buff off whilst still giving your paintwork an adorable depth. Naming products here at Autoglanz is a job in itself, every product name has to have a meaning in our eyes, something you will associate with the product for years to come, so where does the name "CEARA" come from? Carnauba is a wax of the leaves of the palm Copernicia prunifera, a plant native to and grown only in the north eastern Brazilian states of Piaui, CearÃ and Rio Grand do Norte. 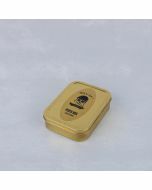 It is known as the "queen of waxes" and in its pure state, usually comes in the frm of hard yellow-brown flakes. It is obtained from the leaves of the carnauba palm by collecting and drying them, beating them to loosen the wax, then refining and bleaching the wax. So now you know, CEARA is named after the state that a large proportion of its main ingredient is natively grown in. This is one of a large list of waxes to come from Autoglanz, all of which are the result of months of development work and are hand blended in house here in the UK which allows us to hand pick our ingredients to offer waxes that will leave your mouth watering in performance. CEARA Carnauba Car Wax Application. 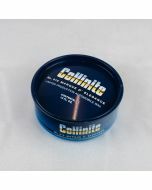 2: If desired a pre wax cleaner or fine polish can be used before application.